Brendan Rodgers is targeting a historic third successive Scottish Cup triumph as he prepares Celtic for the visit of St Johnstone in the last 16 tomorrow. Rodgers has not lost a domestic cup-tie since he took over as Hoops boss in 2016 and is aiming for an unprecedented third successive treble. To do that, he would need to make it three Scottish Cup final wins in a row for the first time in the club's history. "It's a big ambition because I'm here to win as many trophies as I can," said Rodgers, who has Olivier Ntcham, James Forrest and Odsonne Edouard back training again after injury and Kristoffer Ajer back from suspension. "There have been two great (final) days for us when we have been here for different reasons and we want to get into the next round to put ourselves into the hat to have that chance to win it again. "You always have to prepare well so the players will feel that it is a big game, give them that clear purpose going into the game and then they can go and express themselves. 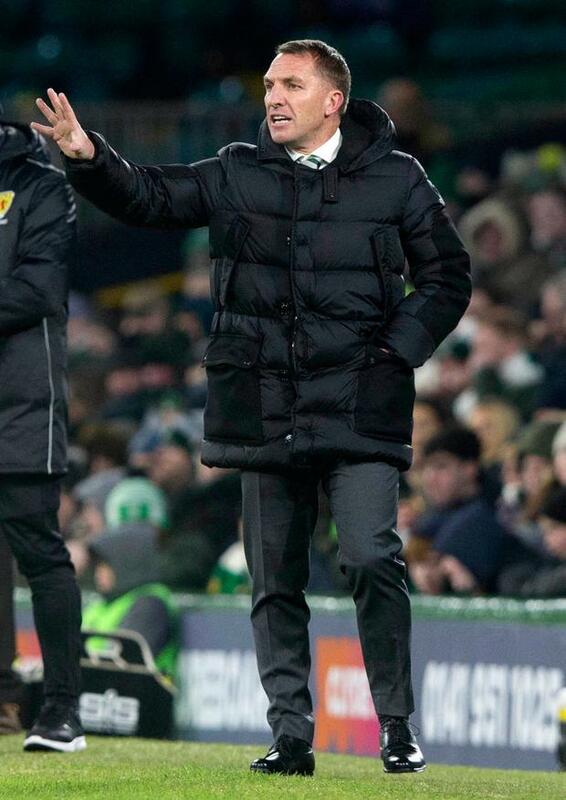 And the demands at Celtic are to win, to win well, and over my period here that is what the players have done and the ambition is to continue with that." The Hoops are in fine form, having won all six games since the turn of the year, scoring 16 goals with none conceded. They beat St Johnstone 2-0 home and away in the Premiership before their 2-0 home win over Hibernian in midweek. Rodgers' men also beat the Saints twice earlier in the season, once in the League Cup, and he acknowledged the familiarity Scottish football can produce. He added: "We have played St Johnstone four times this season, it is only human that you can maybe be blase going into these games having won the games and played well in them. "We have always tried to train the players with the attitude that every game is different, you have to respect every game. "Anyone who has been in my position will tell you how difficult it is, when you are playing well and winning games, to sustain that. "But the beauty of these players is that they're very focused."